And now, something with wicked claws and deepwater teeth has begun to hunt at night....Feeling responsible for her neighbors, Dina decides to get involved. 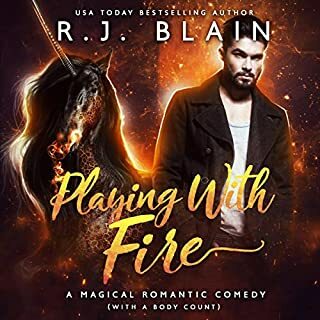 Before long, she has to juggle dealing with the annoyingly attractive, ex-military, new neighbor, Sean Evans - an alpha-strain werewolf - and the equally arresting cosmic vampire soldier, Arland, while trying to keep her inn and its guests safe. But the enemy she’s facing is unlike anything she’s ever encountered before. It’s smart, vicious, and lethal, and putting herself between this creature and her neighbors might just cost her everything. This book had an interesting concept, an Innkeeper who runs a mystical, sentient inn that welcomes every magical creature. Lighthearted and enjoyable. I put off reading the Kate Daniel's series by husband and wife writing team, Ilona Andrews, for years for a reason that I can not recall. The series is now one of my favorites, and their new Innkeeper series is off to a very promising start. Intelligent, likable characters portrayed in a believable world of fantasy, what is there not to like? Really, really looking forward to listening to the next book in the series. If you like Urban Fantasy, you must check out the work of this talented writing team. AND let's not forget Renee Raudman, she is an awesome narrator! She makes the characters come to life as if you are overhearing a conversation, not having someone read you a story! 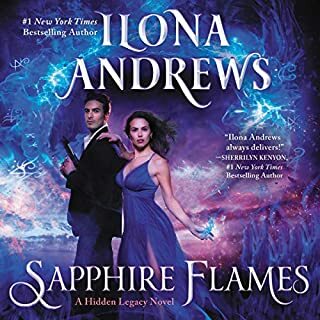 As usual Ilona Andrews has written another winning story, and Renee Raudman does an excellent job at bringing it to life. We have yet another hidden world to keep track of with an Innkeeper for aliens needing a neutral ground to land on for a while. 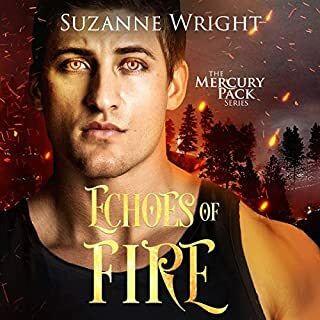 A very entertaining story with it's usual Andrews humor, a touch of romance, along with life threatening creatures that give our heroine a run for her money. It's left open enough for a sequel to sneak in, and I'm certainly hoping that will happen. Interesting series start, narration annoyed me. The narration volume going so quiet practically whispers I couldnt hear it and that means I probably missed alot of important info. oh well, not about to go back and listen again anytome since I am still recovering from the anooyance with how she said "wuff" or "woof" instead of wolf. seriously, by the end I cringed and groans aloud every time I heard it. 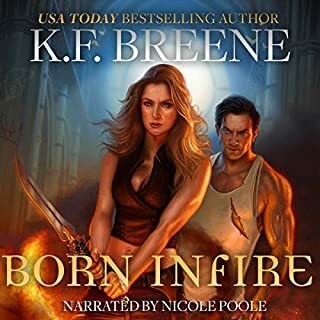 The story was interesting a good start to a new series didn't grab me as much as the Ilona Andrews Kate Daniels series. I love the writing team that is Ilona Andrews and their Magic series. Kate is a strong, smart female lead who is also balanced with humor and softness. I expected something similar coming into Clean Sweep. The idea is a good one - a magical inn and innkeeper who is supposed to maintain neutrality amidst the magical goings-on outside her property's boundaries. 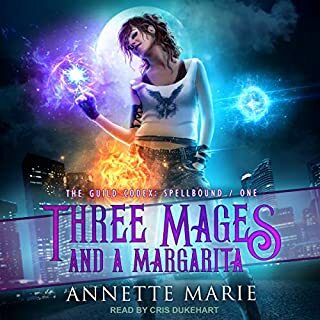 This wasn't your typical Ilona Andrews audiobook in that the magic system existed on a much smaller scale with it being confined to inns, but that's not to say that the world-building was by any means limited. In fact, if anything, it was larger than any of this author duo's other titles because the INNKEEPER CHRONICLES was closer to being Science Fiction than it was Urban Fantasy given that the characters originate from multiple planets. The wheel wasn't reinvented with regards to the typical paranormal beasties such as vampires & werewolves, although they did have several distinguishing traits that set them apart from other novels in this genre. Much to my dismay, a love triangle seems to be developing; however if any team is capable of making it work, it's Ilona & Gordon. 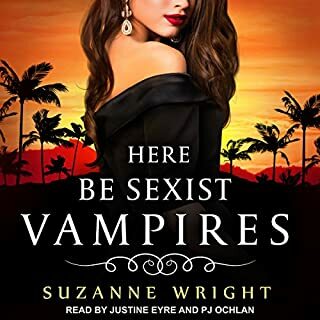 The humor and writing were aces, no surprises there, and Renée Raudman's narration gave the story that extra somethin'-somethin' that keeps me choosing audio over eBook every time this trio releases something new. 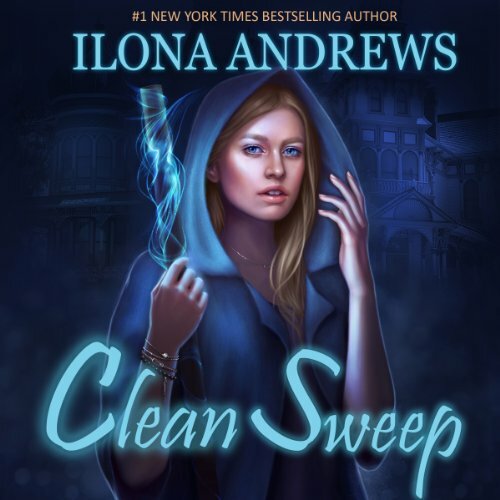 Another great book from Ilona Andrews! Would you listen to Clean Sweep again? Why? What was one of the most memorable moments of Clean Sweep? I really enjoyed the ending, lath ough I was sad it was done, everything wrapped up wonderfully yet left things open for more books. This is an excellent beginning to a new series. I love the concept of an extraterrestrial/supernatural innkeeper and this first book tells me the Gordons have many entertaining adventures in store for us. I had my husband listen to the antics of Beast, the über Shih Tzu, and we both laughed out loud. 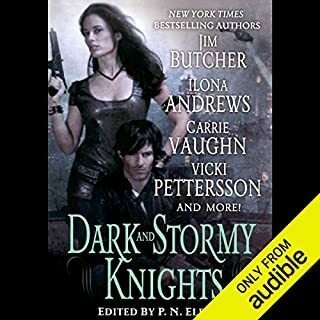 To me, Renee Raudman has the perfect voices for Ilona Andrews' characters and she does not disappoint here. I can hardly wait for the next book in the series. The story seems like it would be good but the narrator sounds like she has a mouthful of mashed potatoes. It's so irritating. I found this book so slow, calm and uneventful. The world and characters was limited, as well as the story. Throughout the book, you have a feeling that there is a prequel or otherwise necessity for an explanation as the characters and their circumstances. It's not that it was so dry and boring, it's just that it was slow. Having read a range of other sci-fi books, this one lacked sufficient imagination and the allure of sci-fi books in general. I've attempted to read other books by this author and I have come to the conclusion that her style is not appealing to me. And as for the narrator, her slow monotone and slight twang make the book even slower. 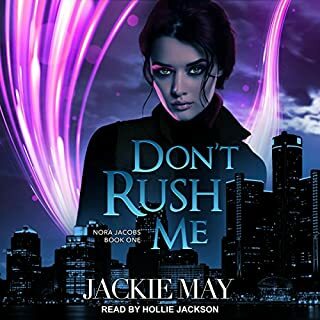 I gave the book 3 stars only because somehow, I was persuaded to read/listen to it till the end (i.e. finish it). awesome story and amazing authors love all their work. can't wait for the next one. I was bored. Not for me. I didn't feel I cared about the characters or the story. 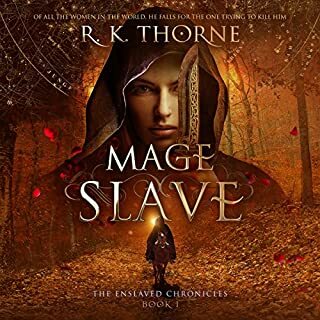 different to the magic series and you fall i love with it just the same. Team Sean!! Lively and fun, full of surprises. I bought this on the basis of the blurb, which made it sound like fun, and the large number of good reviews. The reviews are fully deserved, and I’m delighted to add my own. 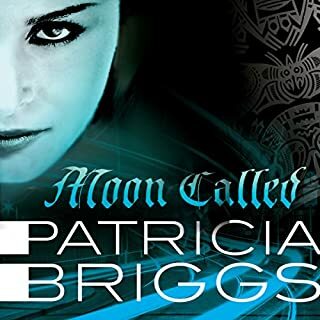 Imaginative, entertaining, full of surprises, blending elements from the supernatural, fantasy and science fiction genres. I really enjoyed this, an excellent start to a series with three interesting characters. Ilona has a clearly-imagined fictional world full of detail, but I enjoyed her writing style which left me to fill in the visuals. She avoids information dumping by taking the reader along and giving them enough to figure things out along the way. 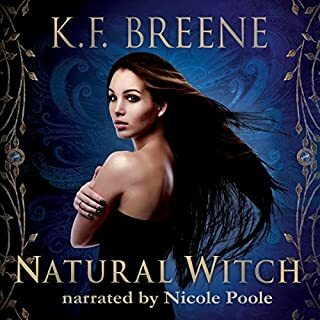 I bought the Audible audiobook version, well-narrated by Renee Raudman. 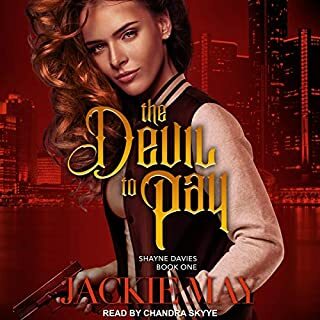 The second book in the series will be in my possession soon, and the third as soon as it’s available from Audible. 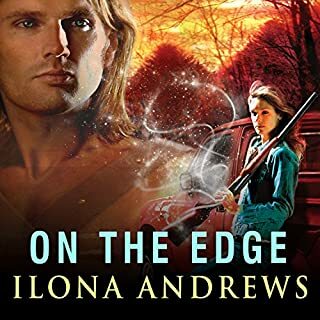 Another Ilona Andrews series to follow! I love Dina, the concept of the Inn and the whole Galactic setting. Perfect narrator! This was okay, but not at all what I had expected. The whole thing was a simply okay, nothing more. The characters were good enough but didn't really grab you, and I personally felt the whole thing was a little confused. I also really didn't like Renee Raudman's narration. Her voice is really irritating. While I did finish the story I can't say I'm inclined to get the next in the series. This turned out to be more sci fi than fantasy. What could Ilona Andrews have done to make this a more enjoyable book for you? 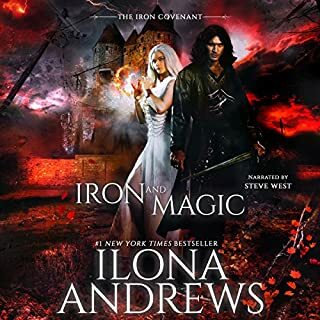 A good story as always with Ilona Andrews. I have not found a bad book by this author so far. 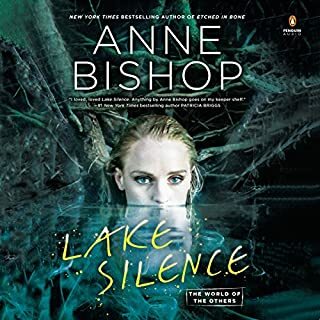 Enjoyed the book it's tone is rather like 'The Edge Series' the tone of the book and the mellowness of the main character.